At all known ticket offices. A unique exhibition. Over 5 million visitors since 2008. Here you can find practical information such as prices, opening times and directions. A site plan is available here. All tickets include a free audio guide. Information on group bookings is available here. * Concessions include: pensioners (from age 65), trainees and students (up to age 27), those performing German national military service, those performing German national social service (FsJ/FÖJ), the unemployed and welfare recipients. Disabled persons with a German disability rating of 70 pay the reduced price. When accompanied by a registered helper (“B” on ID), the helper receives free admission. The helper does not receive an individual ticket. Today we are open from 10:00 to 18:00. The limited edition Tutankhamun Gift Box – the ideal present for all Egypt fans! The high-gloss box includes a colour exhibition catalogue, two tickets (valid for one visit on any day) and a gold-coloured key ring. Order exclusively by calling 089 / 32 98 90 50. We will send the Gift Box to your door. What is a Time Window Ticket? Long waiting times at the entrance? Rushing through the exhibition? Are the rooms are too full? For your benefit, we want to avoid these circumstances so that you can have an unforgettable experience in the best possible sense. This is why we use so-called Time Window Tickets. Every ticket is valid for a particular time window in which you will be admitted to the exhibition. You decide which time window your ticket is valid for yourself during the booking process (online, by telephone or at an advance sales point). Should you arrive earlier or later than your booked time slot, you may have to wait at the entrance. However, all purchased tickets of course retain their validity for the day booked. After admittance, the amount of time you spend in the exhibition is unlimited, within the opening hours. 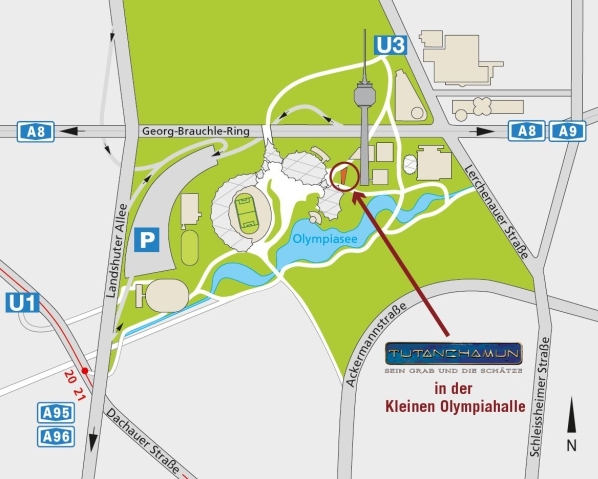 We recommend that you plan approximately two hours for your exhibition visit. Please use public transport where possible. Parking is available for a fee in the “Parkharfe” at the Olympic Stadium. Drive to the “Parkharfe” from Mittlerer Ring (Landshuter Allee/Georg-Brauchle-Ring) via Sapporobogen. Sapporobogen, accessible via Mittlerer Ring (Landshuter Allee/Georg-Brauchle-Ring). Plan your environmentally friendly trip with Deutsche Bahn. 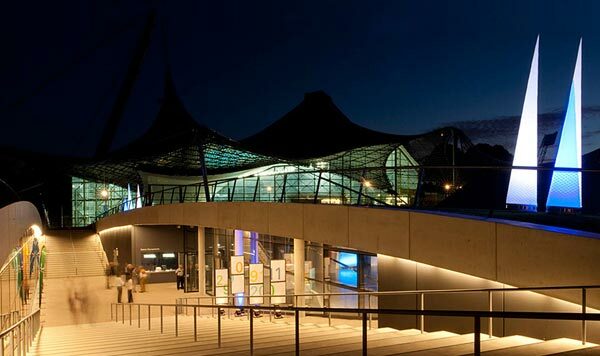 With the Culture Saver Fare (Sparpreis Kultur) from Deutsche Bahn, you can travel to the exhibition in Munich and back within three days from €39 (2nd class) and from €49 (1st class) – and it’s environmentally friendly. Up to four additional passengers travelling with you can each save up to €10. The ticket is available when you buy or present a ticket to the exhibition at any DB travel centre or DB agency. A Culture Saver Fare can be purchased online as follows: Book an exhibition ticket at Eventim and follow the link to Deutsche Bahn on the order confirmation. The tickets are subject to a quota and issued for a particular train. They are bookable up to one day before travel. For visitors to the Munich exhibition there is also now a multi-voiced audio guide included in the price of admission. The guide was developed as a series of dialogues based on the records of the explorer Howard Carter by Werner Biermann. Biermann was responsible for the documentary on Charlemagne from the series Die Deutschen (The Germans) and for a documentary on Konrad Adenauer, among others. Speakers include Christian Schult, whose distinctive voice is known from countless TV documentaries, and the actress Mechthild Großmann, who has played the public prosecutor in the Münster setting of TATORT. 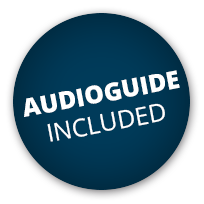 The audio guide is available in German, English, French, Italian and Spanish. For children up to age 12, a children’s version is available in German, English, French, Italian and Spanish. How much time should I plan for my visit? Visitors tend to spend approximately 2 hours in the exhibition. You should leave at least this much time. Can I take photos or film in the exhibition? Yes, but without the use of a flash or tripod and only for personal use. Exception: due to the large number of school groups ONLY teachers and helpers are permitted to take photos or film. How many people are included in the family ticket? The family ticket is valid for max. 4 persons: max. 2 adults plus children up to age 14. A supplementary ticket is required for each additional child. The supplementary ticket is only valid in conjunction with a family ticket. Is there an exhibition shop? Yes. There is a shop with a large selection of high quality replicas, jewellery, books and picture books all about Egypt, and much more. Are there plenty of seats in the museum? There are plenty of seats scattered throughout the exhibition. Are pets allowed into the exhibition? An individual tour will turn your visit into an extraordinary experience. Our team of Egyptologists, archaeologists and art historians will accompany you on a journey into ancient Egypt and will be happy to answer your questions. Public, family and dialect tours take place on fixed dates. Free choice of dates is available for exclusive tours for groups and school groups. All tours last approximately 75 minutes. Tours by external guides are not possible. An educational, exciting, entertaining and unforgettable adventure for young and old alike. Younger visitors are put at the centre of the tour. The recommended age range is 6–11. In order to enable as many children as possible to take part, a maximum of one adult per child should participate. Please note that the accompanying adult is responsible for supervising the child. Combined tickets for entrance and tours cost €24 for adults / €13 for children. Mia brauch ma koan Pharao, aber scheena war’s scho! Today, Tutankhamun is one of the most famous ancient Egyptian rulers and even the Bavarian spirit is occasionally moved by the glamour of a king. 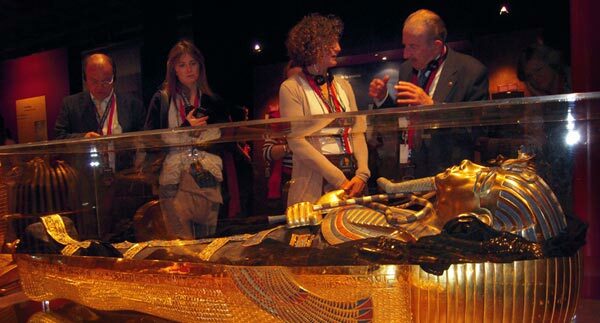 A tour in Bavarian dialect not only allows visitors to get to know the burial treasures and delve into the history of the tomb’s discovery, it also aims to communicate the world of ancient Egypt to the Bavarian ear. Combined tickets for entrance and tours cost €25 / concessions €22. Our dedicated team of tour guides looks forward to unravelling the secrets of the Egyptian beliefs in gods and the afterlife for you in an easy-to-follow way. The objects in this unique burial treasure are not only fantastic testaments to Egyptian art and culture, they also served the young deceased Tutankhamun on his voyage into eternity. Combined tickets for entrance and tours cost €24 / concessions €21. Information on exclusive tours for groups and school classes can be found here. There is a lift enabling access to the exhibition for wheelchair users and disabled people. To use this, please ask our box office staff. There are disabled toilets at the exhibition. 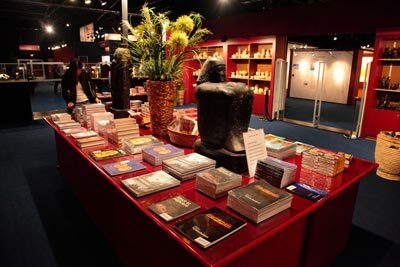 In the shop you can find jewellery, gifts and selected specialist books on Egypt. More information on these publications can be found here.